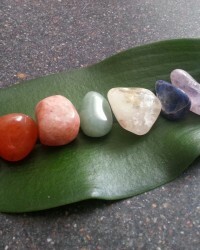 In this offering, I will pull one or more crystals from my personal collection and share with you the meaning and messages from those crystals regarding your concern in question. 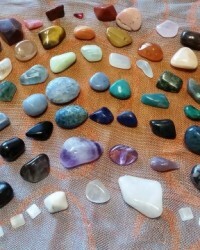 Within 24 hours of the reading, you can expect an emailed .jpg image of the crystals that were pulled for you. With the Skype upgrade, we will address your needs leading into the reading and afterwards, address any additional questions you may have or clarifications you may need. We may also talk about next steps for you to take that could assist you on your transformation journey. When ordering, please describe in the notes section what you would like your reading to focus on. General readings are welcomed too! 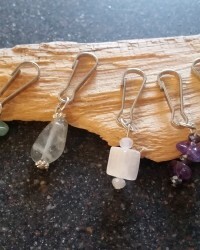 Once you share a specific intention with me, I will connect with your energy to create a personalized crystal charm to support you around that intention. You can expect a .jpg image of your charm emailed to you within 48 hours and confirmation when your piece has shipped. *Bulk and other custom piece orders possible – please inquire prior to ordering. These make great gifts for loved ones! When ordering, please describe in the notes section what you would like your charm to be focused on. 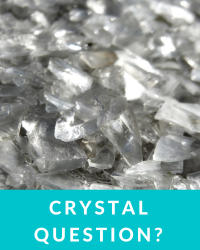 Do you have a quick question about crystals that I can answer for you in a brief email? Please reach out to me here for some quick answers. I am more than happy to share what I know and what the crystals have to share. When ordering, please write your question in the special note section. I will respond to you via email within 24 hours.